Scrivener is a wonderful tool that helps writers organize their manuscripts, screenplays, research projects, and more. But with all the customizations available, it can be daunting to understand it all. 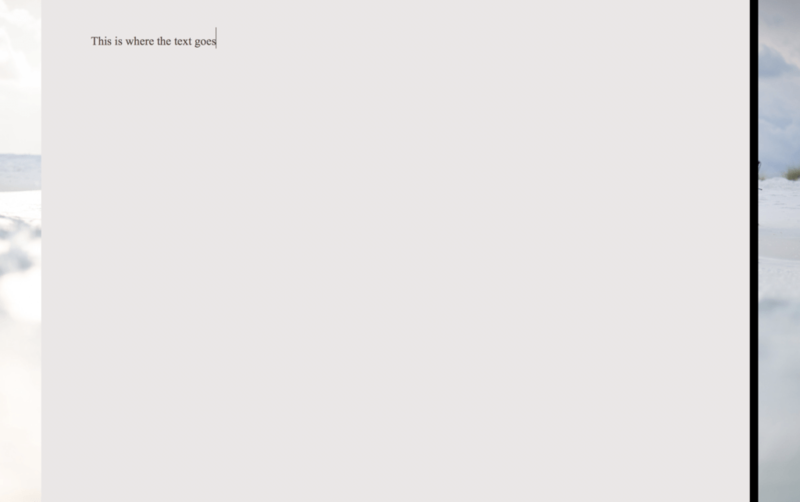 To that end, we’re posting a series of blog posts about Scrivener, from drafting to formatting. Today, we’ll be sharing our best Scrivener drafting tips. Note: The screenshots are for Scrivener 2.0. for Mac. We hear from our friends at Literature and Latte that version 3.0 is coming soon, and when we get access to it, we’ll update this post. We’ve already covered project set-up in a previous post, so for today, we’ll just talk about the actual act of writing. Some writers outline, others like to figure it out as they go. In both cases, we’ve got tips to help you organize your thoughts. First, thanks to Scrivener’s modular makeup, you can drag and drop scenes as you need to. So maybe Chapter Five should be in Chapter Ten, or Chapter Two needs to go completely. As part of that, you can also use shortcuts to Split and Merge scenes. 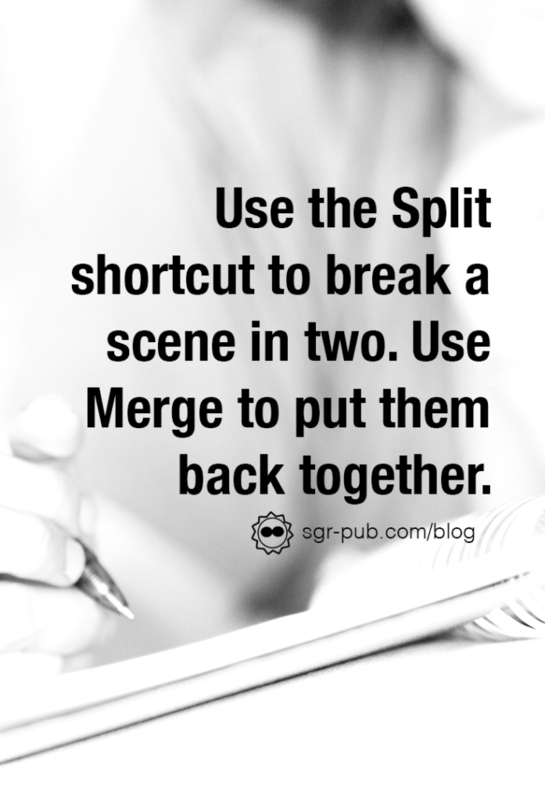 If you’re working on a scene and it needs a break, use the Split function. Have two scenes that need to be one? Select both and use the Merge function. Some writers find it hard to stay focused on a single thing. Having so many scenes and folders at their fingertips is a recipe for disaster, they say. But Scrivener has a feature for those scatterbrained authors. It’s called the Composition mode. Here, everything disappears but you and the text. You can even change the Composition backdrop to be something inspirational to your draft. When we’re writing a draft based in a real city, we like to find a photo on the internet of that city and use that. You can adjust the paper opacity (making it see-through or not), or just leave the background black. Couple this with a Pomodoro app and you’ll be on your way to writing in no time. 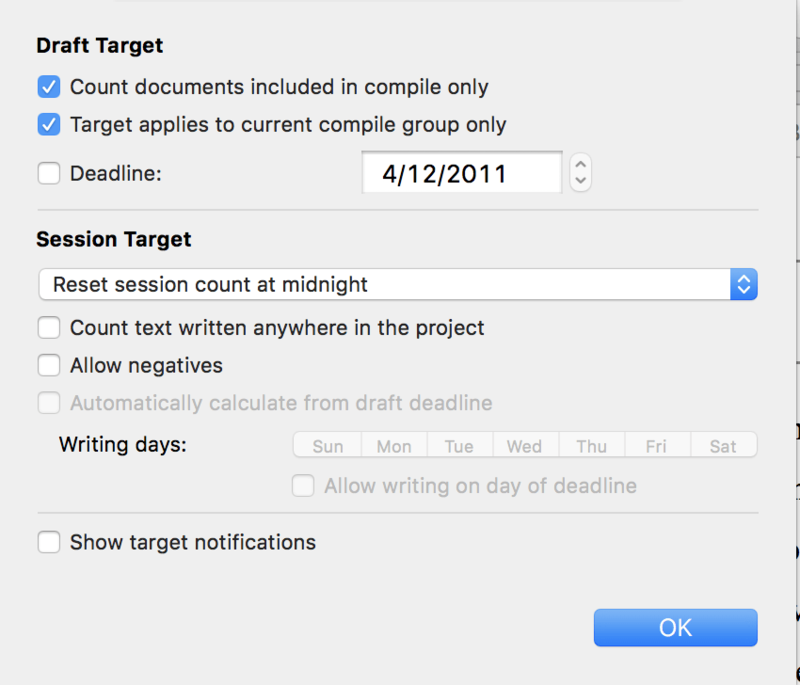 We’re big project planners, so our most obsessively frequently used feature in Scrivener is the Project Targets. 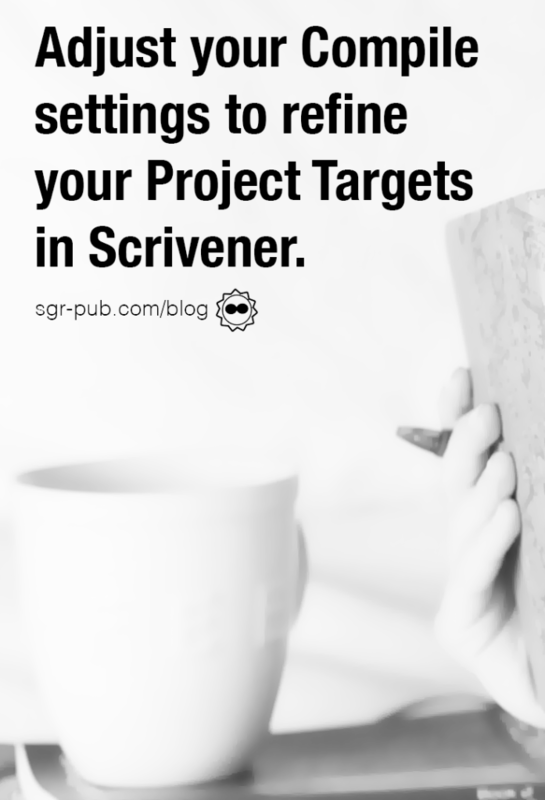 In Scrivener, you can set a project target or a chapter target (though unfortunately, one doesn’t feed into the other). In the Project Target setting (find it under the Project menu), you can set the overarching target for your manuscript. Then, under the Options button, you can add more granularity. If you’re shooting for a particular date, you can set a deadline. Then, by clicking the “automatically calculate from draft deadline,” you can have Scrivener calculate a daily writing goal based on the number of days left, and writing days you’ve set. If you’ve got multiple books in a single Scrivener file, you can make this more granular by adjusting the Compile group. Simply go to the Compile settings, then select the book you want to track. Click “Compile” to save the new settings. Now, your word count goal will only take into account the scenes and chapters you want. We’ll go more into the Compile window in the coming weeks. Want to know more about this topic? Need some help with formatting, editing, or even marketing? SGR-Pub offers a wide variety of services to help you make the most out of your self-publishing journey. Contact us today for more information. We can’t wait to work with you!